Heavy-duty coating spray mastic is effective on asphalt, roof felt, tiles, metal and more! 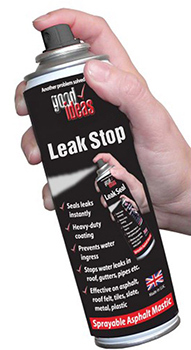 You can use Good Ideas Leak Stop Spray to spray directly onto any leaking joints you may have in your household. This powerful spray will save you a small fortune on costly repair work. Imagine the luxury and convenience of being able to repair a leak in a few seconds, with no help. No need to wait days for an expensive specialist to come and sort it out because all you need is you and your bottle of Leak Stop. Formulated in the UK and recommended by respected DIY enthusiasts, it’s superb for repairing those leaking pipes, gutters, drains, roofs, windows and any other area where water has been inconveniently dripping through. Always keep a can of Leak Stop around the house so you are readily equipped for the next little emergency you may have. Good Ideas Clear Leak Stop can be sprayed directly onto leaking joints. Shake the can for at least 2 minutes before use. Ensure you spray from a distance of 30-40cms. Firstly you need to spray around the damaged area if a large hole is to be sealed. Next, cover the hole with gauze or cloth. Finally spray to cover the gauze base completely. Repeat applications may be necessary. Leak Stop shouldn’t be used on thin plastic, rubber, polystyrene or fibreglass materials. However it is suitable for heavy duty plastics, pipes and guttering. If you are in doubt, test on a small area first. In a nutshell, all you need to do is clean the desired area to be sealed, apply the spray and you have a permanent watertight seal. Leak Stop covers cracks and holes with a flexible and extremely durable coating and can even be applied on wet or damp surfaces. It won’t sag in summer or crack in winter and can be painted over when dry (allow 24 hours). Pack the joint with gauze or cloth when sealing gutters. Avoid contact between the ladder and gutter during or after use as this may disturb the seal. The source of many leaks is not necessarily above the drip. Ensure you apply Leak Stop on all possible sources of a leak e.g. 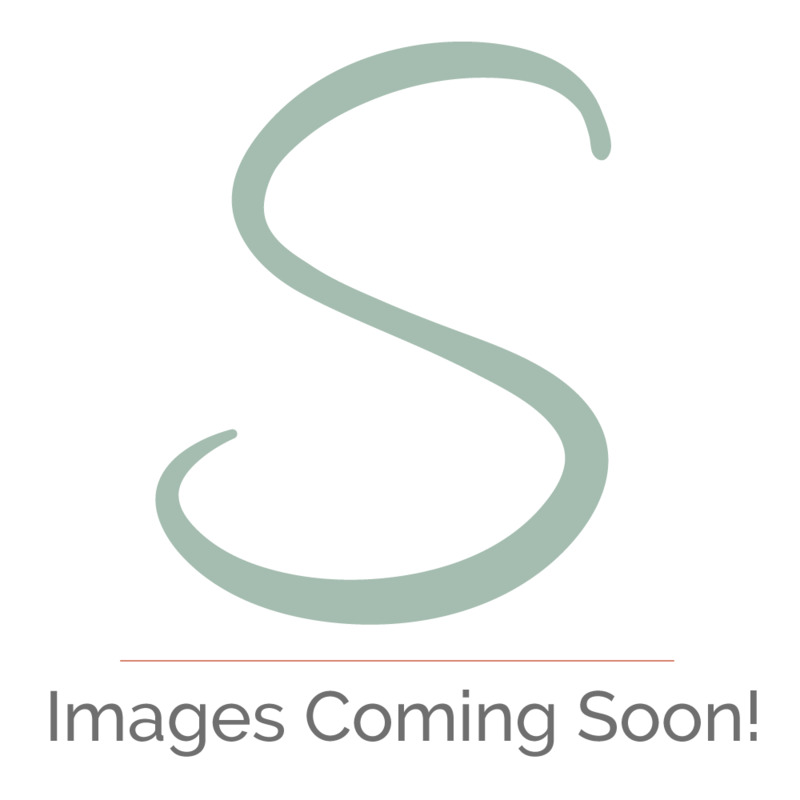 badly rendered concrete, broken tiles or cracks in the felt or tar. Many sources of leaks have dirt, rust, broken putty etc. surrounding them. Don’t clean these specifics before spraying as they help Leak Stop to produce a stronger seal. Don’t spend a fortune on leaks! Spend a little and fix it yourself with help from Leak Stop! Your new household essential!